Fabulous card. I really love your color scheme. Thanks so much for playing along at Time Out. 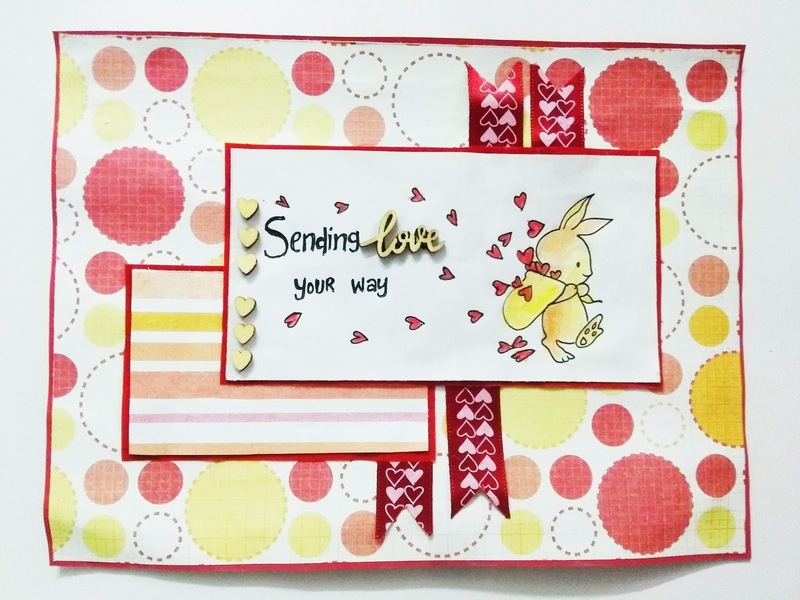 A fun and playfull way to use stripes and rounds together! And great colours! Thank you for joining us at TIME OUT! Adorable! 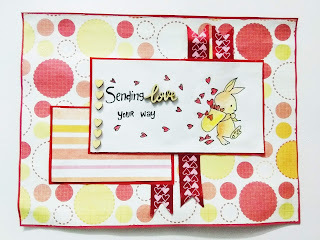 Lovely colors - perfect for Valentine's Day - and the bunny is colored brillantly! Thank you so much for sharing and for participating in the Sketch Saturday Challenge #545. Have a great day!